I have to admit, these prolonged periods of xrp dropping against btc always leave me confused. Other than being a gateway to other cryptos, what drives people to buy btc? Surely crypto has been out long enough that people in the market don't think it's the only coin to hold right? This is why I can't do short term trading. xrp losing to btc doesn't make any fundamental sense to me. I mostly check in to play the forecasting/guessing games, and see if any cool new has popped up. I don't believe the price is going above $5 this year for sure, but that's because the whole space is moving sideways right now. Then again, I'm a long term hodler targeting 2029 for potentially my first sell date, and I think XRP has more potential utility than any other crypto, so I guess I am saying I think the price will be over $10, just not this year. I'm a little disappointed BG123 didn't work out though. That was some great conspiracy fun last year. Reflection of all of crypto being quiet for so long. Btw, a lot of people in the game have end of March predictions in the $0.30-$0.36 range. This could turn out to be a very competitive game this year. Can that bill clear a wall though? I really hope so. I would love to look back on my prediction and laugh about how far I undershot it lol. Without a xmas miracle @tar is going to end up running away with it. Are you making a 2019 thread when this one officially closes? always promise to pay them tomorrow for a lambo today. Besides, 90% of the lambos you see celebs enjoying are rentals for the day, or a lease for the month. Never seen anyone that uses it as a daily driver. Agreed. Would be nice to see XRP stay #2, or #1, from here on out. The only limiting factor on XRP $5000 is that there are not enough islands for everyone on xrpchat to buy lol. Yes, they do. Right now a lot of traders are dodging taxes, and many people don't even know they are. Eventually the tax man cometh though. For everyone's sanity sake, you really do need to do some Googling on the escrow. Otherwise you can't understand over half the reactions you're getting here. For instance, answer this: What is the purpose of the escrow in the first place? If any thought other than 'controlled long term inflation via monetary policy for ensuring liquidity' popped into your head, then you're starting from the wrong place, and it's why you don't understand what is going on. The higher the price of XRP, the less of the escrow that would be sold each month, and the longer it will last giving a longer life to the coin and its ecosystem. This is a topic that has been thoroughly explored multiple times. ok, so which one of you guys had the 6th of November in the pool? Oddly enough natural gas spiked almost 10% yesterday too, so maybe XRP is correlated to NG and Midwestern cold fronts. The last IRS guidance (USA) I saw said that every transaction, even between cryptos was a taxable event. Isn't that why they asked Coinbase to turn over the history of every account with $10,000+ in it? Taxes are exactly why I don’t try to trade. Even if I did gues right on timing I may lose out to the government in the end. I’m hoping that I only have to ever sell once, or never at all. The proper take away is that if you are going to use this calculator, view the result as the direction XRP is moving towards over time, not as the actual prediction of the trading price of XRP. For the purposes of the calculator, it is definitely viewing XRP as a currency, i.e. a medium of exchange. It absolutely meets the basic definition of a currency in economics, so I'll just have to say we simply disagree there, but we are at least on the same page that the calculator is viewing XRP as a currency. And monetary economics is definitely the methodology used in valuing currencies. I'll concede that you almost never hear anyone ask, how to I know what the value of a $1 is, but they frequently explore the changing purchasing power of that $1, with is all determined by the monetary equation. The value of a currency is one of the basic tenets of that school of economics, and it's definitely in econ 101. @tar I wasn't suggesting that anyone use discounted cash flows for determining a price of XRP, I was comparing that methodology of how the textbook says to value a stock, to how the textbooks in econ 101 say to value currencies. The underlying theory of valuation is based on long term utility, but neither will account for the variables you're describing that affect the actual trading price day to day. So as discounted revenues are used to predict the long term trajectory of a stock, monetary economics is used to predict the long term trajectory of a currency like XRP. Neither will accurately tell you the trading price at any given specific point in time. I hope y'all aren't really mad at each other. It seems like you're just a few words of understanding apart. The calculator is built on a theory of economics that is based on long run full transparency assumptions. @tar is calling it meaningless because it doesn't accurately reflect the trading price of XRP, and in reality it'll never exactly reflect the price because the theory behind it is never going to be looking at the variables affecting the price 'today'. Those short term variables always become white noise when taken to the long run. 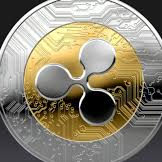 The calculator can give you some guidance on what the expected value of XRP should be given the growth of use/utility over the long run. For example, the value of any stock at any point in time should be the discounted value of the underlying company's future earnings. That's what this calculator is doing, describing the value. The actual trading value of the stock is going to be based on the perceptions and behaviors and assumptions of multitudes of traders at the time of trading, and it's highly unlikely that any of them will have used all of the possible correct assumptions in estimating the future returns of the company to know the real value of the trade at the time. Doesn't mean the economic theory is wrong in determining value, but it is unreliable in predicting short term prices. I hope that helps you guys see just how close y'all actually are in this discussion so that you realize you don't need to be angry at each other. He means using MV=PQ works 'well enough'. Most bankers, and financial analysts still use the monetary equation to explain currencies because the math is relatively simple. It's also still in the high school and econ 101 textbooks, so unless you're an upper grad econ major or a professor, you likely don't even try to incorporate relativistic behavioral variables into your analysis. Hence, that graph I took a screen shot of is still up on the bank's website today, and is being used to explain the economy to customers in terms of increasing money supply always leading to inflation. 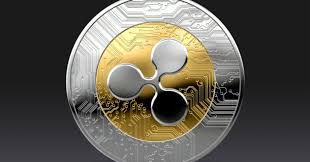 So for XRP most people are going to gravitate to the future value of XRP equating to the size of the economy transacting through it. That's actually my own preferred method because it's simple, and empirically close enough in the long run. Where it fails is in the short run. It won't predict the price tomorrow, or even explain the price now. What @ADingoAteMyXRP is looking for is to see if someone will take your approach and run it through a neural network to produce short run forecasting of the price of XRP in terms of USD. As someone who has had terrible real world experience getting neural networks to produce meaningful results, I'd say 'good luck' to him. Especially since if someone did find that magic formula they'd be taking all of the day traders' money.